Grammy-winning singer/songwriter and Nashville native Rodney Crowell has signed on to be executive music producer for a new biopic about Hank Williams titled I Saw The Light. The film, directed by Mark Abram (Dawn Of The Dead, Children Of Men), will star British actor Tom Hiddleston, best known as Loki in 2012’s The Avengers, as Hank Sr. Filming is set to begin in Louisiana this October. In addition to Crowell, Carter Little, who worked with the Black Keys on The Man With The Iron Fists, will serve as music supervisor. 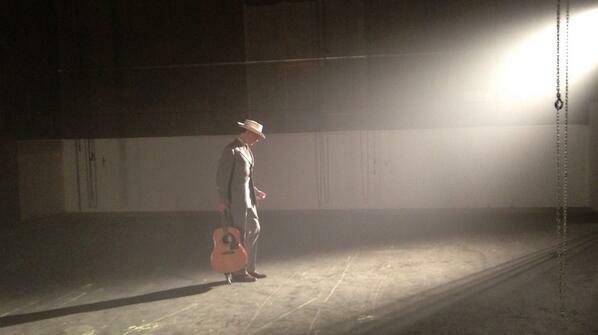 Hiddleston recently tweeted a picture of himself in costume as the legendary singer. He has already begun working with Crowell to master Williams’ signature vocal style. Crowell recently released his fourteenth studio album Tarpaper Sky, featuring a collaboration with American Songwriter Lyric Contest Winner Quentin Collier. Read our review here. I Saw The Light is scheduled to be released in 2015.